This attack does 20 plus 20 more if you have Mespirt or Azelf in your party. Choose one of your opponents pokemon. Then choose one of the pokemons moves. 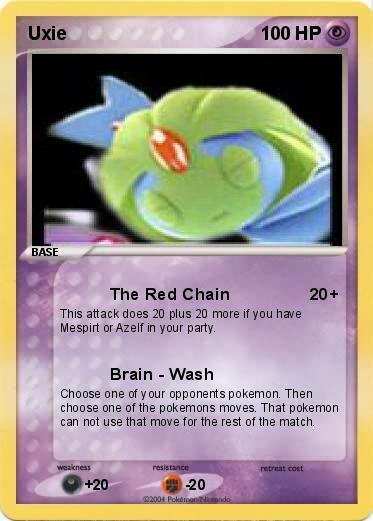 That pokemon can not use that move for the rest of the match.